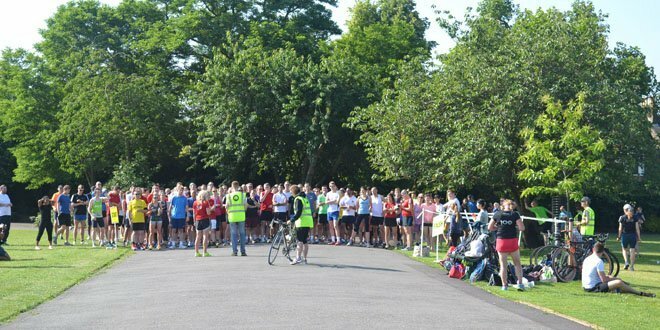 We’re back on the Lon-done parkrun trail with a visit to Peckham Rye parkrun. Other Dan met me at Hanger Lane and I drove us through London to Peckham Rye Park. We didn’t really know what to expect from this one other than we knew it was flat and run on tarmac. There was ample free parking close to the Colyton Road entrance of the park and from there you can see the event team putting together the start & finish area. We joined them on a cold day with the wind sweeping across the open sections of the park. We both decided to keep our layers firmly on and jogged round the three lap course together. We knew the drive back would take longer than the journey there thanks to the joys of driving through the Olympia area so we didn’t hang about after the run. Probably a nice place to run in the summer but not fun when you misjudge the weather and run when you’re unfit (me) or coming back from injury (Other Dan).